The world would be a much better place if everything were made of LEGO. Artist Jeff Friesen is off to a good start with the "50 States of LEGO", blocky, happy dioramas representing every state in the Union, except Canada. I'm just kidding. 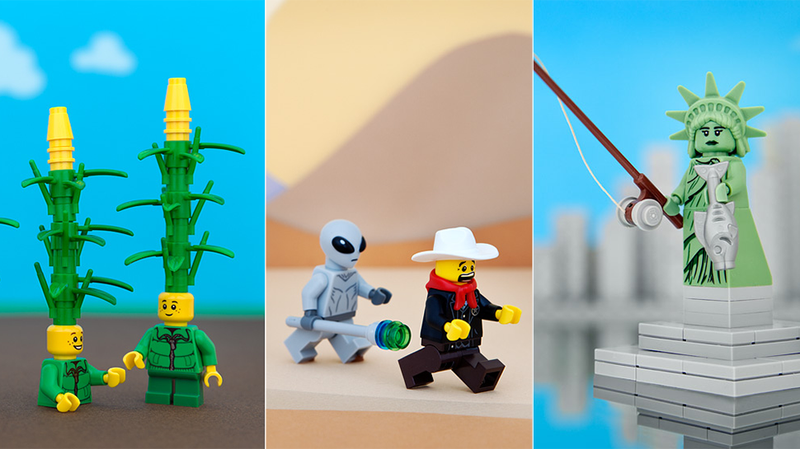 Canada gets its own LEGO gallery, where the minifigs are even happier and friendlier. He uses lots of white bricks and fish. But that's not important right now! Look how well Friesen has captured the spirit of our great nation. New York, home of Kotaku headquarters. California, home of West Coast Kotaku. North Carolina, where Owen lives. And our personal favorite, Delaware. But wait, Fahey — that's only five states. There are at least 45 more! That's right, and Jeff Friesen has all of them at his portfolio site, where you can buy prints for your state for an incredibly low price. I want all 50.